Incrediwear patented braces & sleeves can significantly enhance comfort and mobility, outcomes that occur due to increased blood flow and delivery of oxygen. The braces allow for great mobility, yet supreme support. Unlike other products that only support, Incrediwear braces have a patented organic germanium bamboo charcoal blend that is ideal for anyone experiencing discomfort, inflammation and swelling related to circulatory issues. Our braces are great for post recovery, and reducing fatigue and pain in over worked muscles and joints. These braces are the ideal choice for the active, inactive, sports enthusiasts, or those just seeking the best comfort available in a medically designed brace. Sizing measured based on standard waist size. Interior : 30% Nylon, 30% Polyester, 20% Cotton (Germanium/Carbon Infused), 20% Spandex. Exterior : 61% Polyester, 29% Spandex, 10% Nylon. Incrediwear patented braces & sleeves can significantly enhance comfort and mobility, outcomes that occur due to increased blood flow and delivery of oxygen. 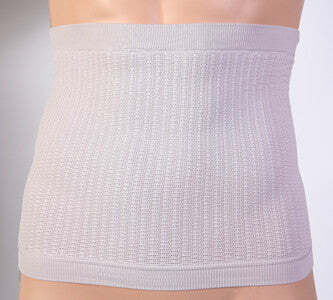 Our braces and sleeves are great for post recovery, and reducing fatigue and pain in over worked muscles and joints. Wear as needed to relieve discomfort. Can be worn 24/7. For maximum benefit wear when sleeping. Incrediwear braces and sleeves harness its patented circulation enhancing technology to soothe tired aching body parts, regulate temperature and control odor by stopping bacterial growth. They are also incredibly comfortable! Our braces and sleeves are especially popular with high level athletes who use them to return to sports after injury rehabilitation, to manage their discomforts from old injuries as well as help manage chronic aches and pains. Incrediwear is safe, comfortable, restorative and affordable alternative to other braces.